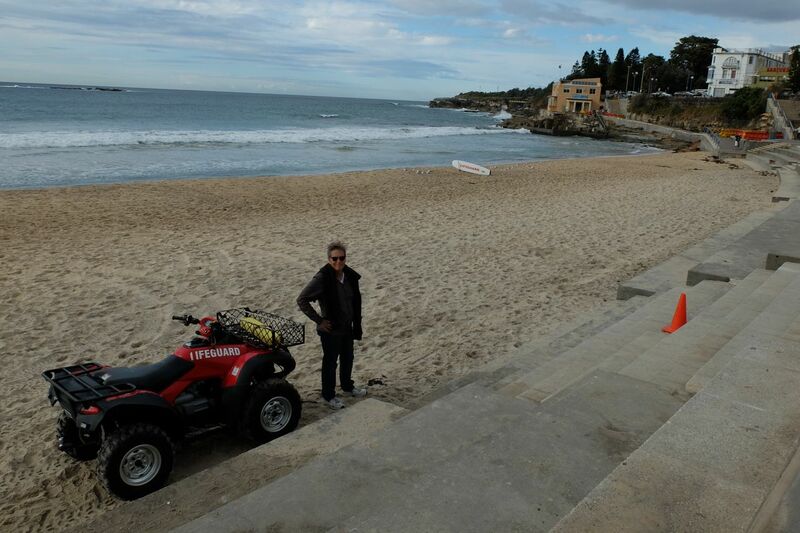 We were nervous about what we'd find at Coogee this weekend after the wild storm 2 weeks ago that did so much damage. 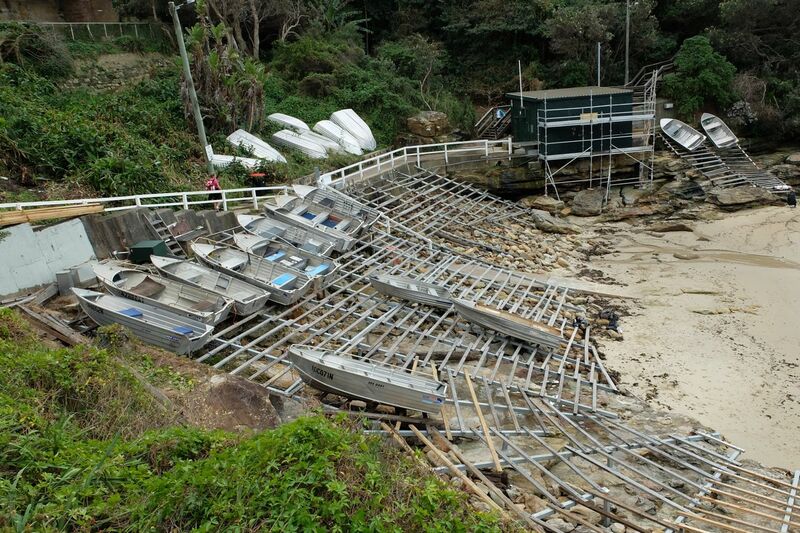 The stainless steel frames for the awnings didn't survive the onslaught very well. 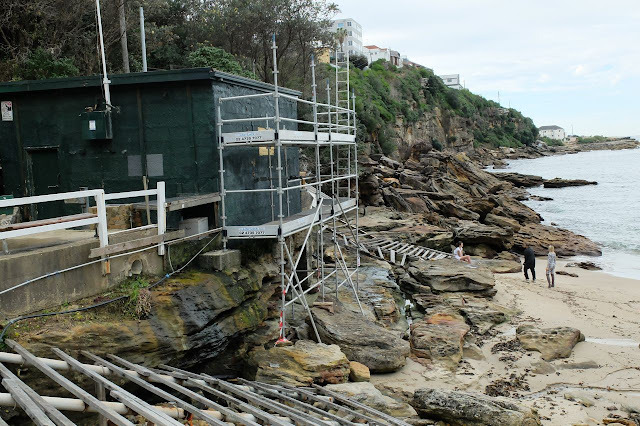 The beach looks to have lost over a metre of sand at the southern end and the foundations for the concrete steps lining the beach front are now exposed. 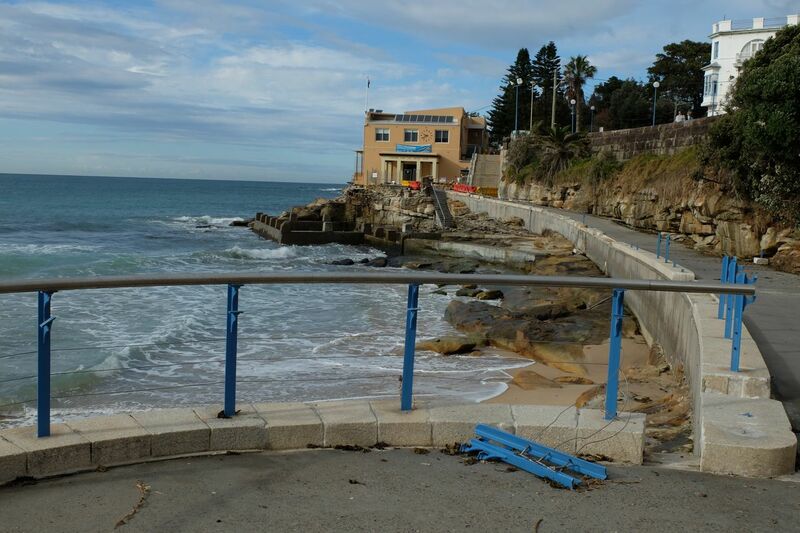 We thought Gordon's Bay would have been protected from the big swells coming in from the North East but we were amazed by the damage......... There was evidence of extensive wave damage in the bush area above those boats - so far above the little beach! 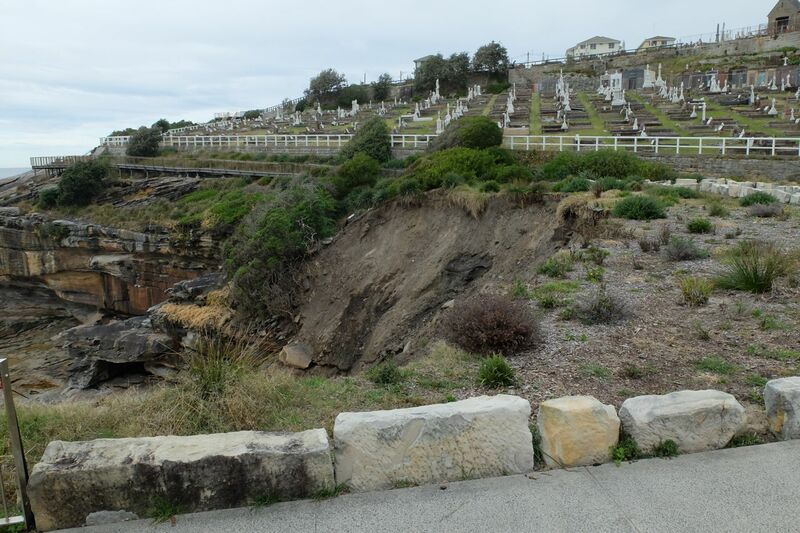 And the fishing club house foundations have been compromised. But that didn't stop this fashion shoot on the rocks below! 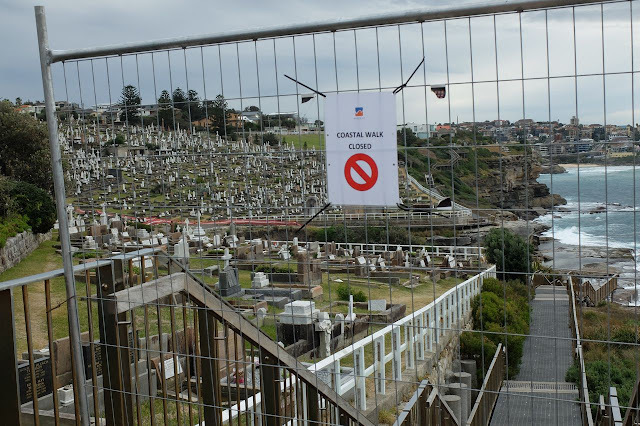 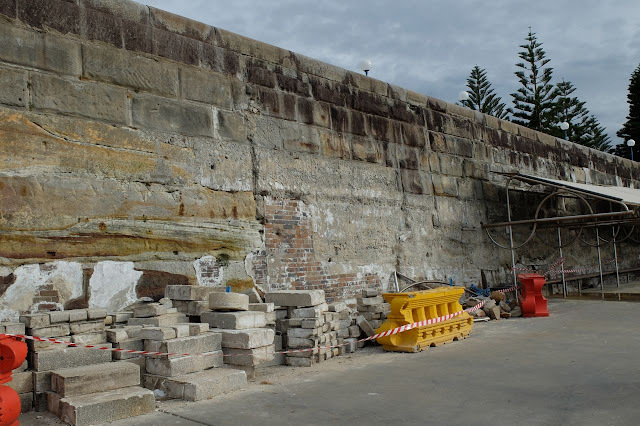 We were blocked from entering the coastal walk path near Waverley Cemetery. But by taking a detour through the grounds of the cemetery we got up quite close to the damage. This part of the Coogee to Bondi coast walk lost 8 metres of cliff face - from the waves crashing against it - and the king tides. 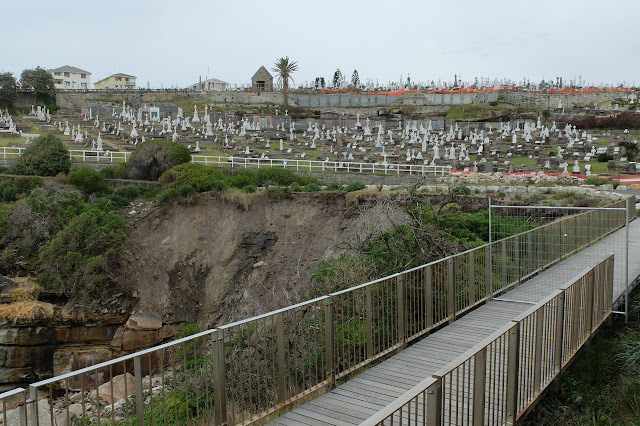 We were relieved to hear that the beautiful decking built out over the coastal cliffs on this part of the walk are undamaged. The engineers have pronounced that the coastal walk will be safe to open in a few days (just minus 8metres of cliff face at the cemetery part of the walk). 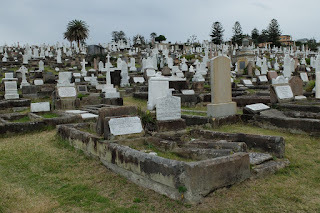 Nothing in the cemetery seemed to be damaged in the storm.....regrettably. 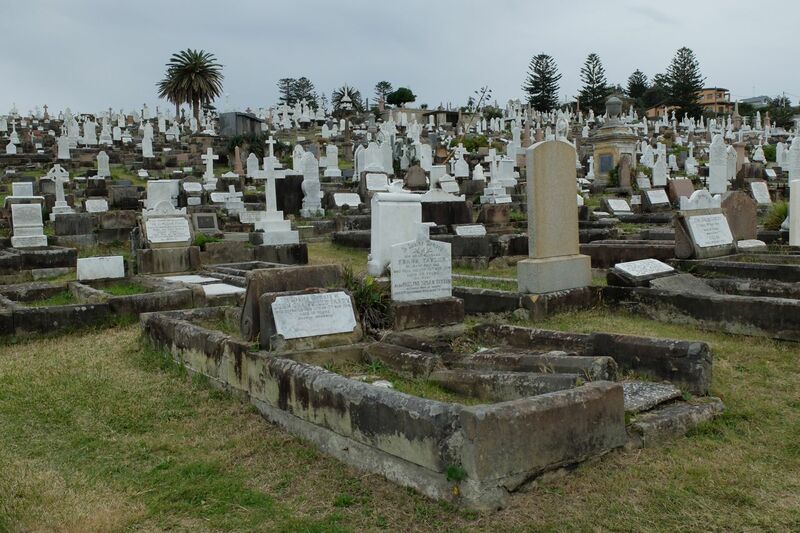 I don't think this cemetery should be here - a Victorian era remnant of colonial values - very out of place in Gadigal country.